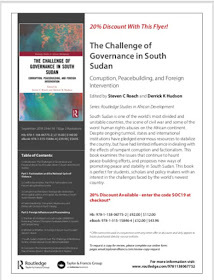 This was supposed to be read at the South Sudan Youth of Canada Conference at Grant MacEwan University on July 28,2018. I spoke on the same topic but I didn't get to read the speech. I am posting it here for everyone to read, learn something and engage in the discussion on the topic. It was one of the highly discussed topics during the panel discussions at the conference. Many youth were interested in it. Good morning everyone. 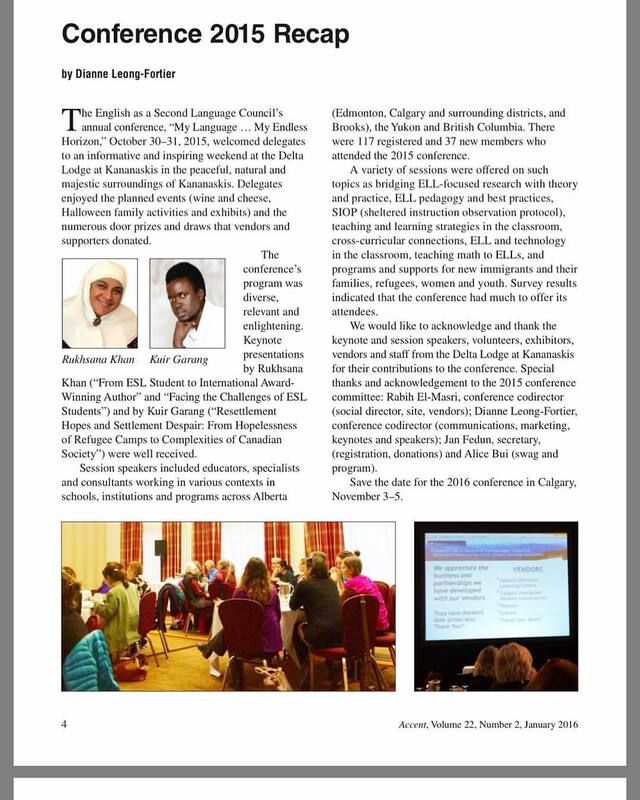 Great thanks to the organizing committee, the youth who came up with the idea of the conference and great thanks too to Grant MacEwan University for offering the space. I will not define tribe for that would be a waste of time. Because, if you are a South Sudanese, then you know what it means. And if you are an African, or you come from societies where people organize themselves in tribes, then, that applies to you too—that means, I would not waste time defining what a tribe is. But for those whose tribe has become a thing of the past, supposedly, I will say this: Wake the hell up! This is why! If you feel strongly about a given issue and associate with a given collective group so strongly that your allegiance to that group becomes hard to break, then bravo, you are a member of a ‘tribe.’ In Alberta, Jason Kenney is leading a tribe called the United Conservative Party (UPC). And Rachel Notley is leading another one called New Democratic Party (NDP). Well, Lawrence Rosen wrote in Foreign Policy on January 16, 2018, that “The mistaken view of tribes as primitive, violent, and insular is already having pernicious effects on our response to this new era of politics. Tribalism, contrary to popular belief, is not atavistic.” In the west, tribalism is not a thing of the past. A racist is essentially a tribalist. A fundamentalist conservative or liberal is essentially a tribalist. Okay, I think you get the idea. So tribalism means two largely different things: 1) as Julie Kwach wrote for Tuko, tribalism “is the state where individuals within a particular tribe emphasize strong loyalty to their community while exalting themselves as superior to the rest. As such, the commitment to one’s tribe results into strong negative emotions for any person outside the group.” This is our sense of tribalism today. 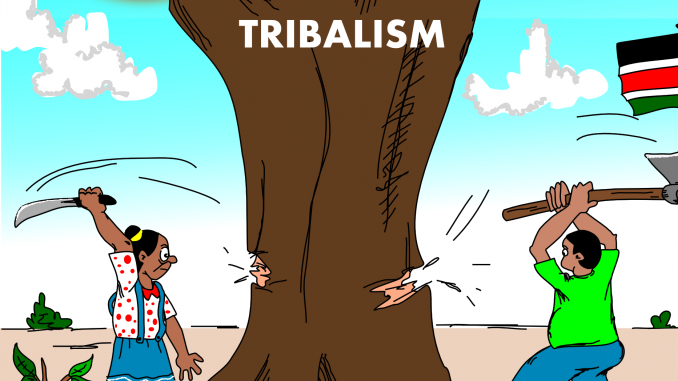 However, tribalism can also mean a way in which a given tribe organizes itself in terms of ethical codes, social mores, governance structures, and continuity. In other words, Tribalism cannot be simply dismissed as totally negative because there are ways in which a strong belief in a given tribal tradition can be very beneficial, if properly rationalized, in respectful multi-tribal states in Africa. 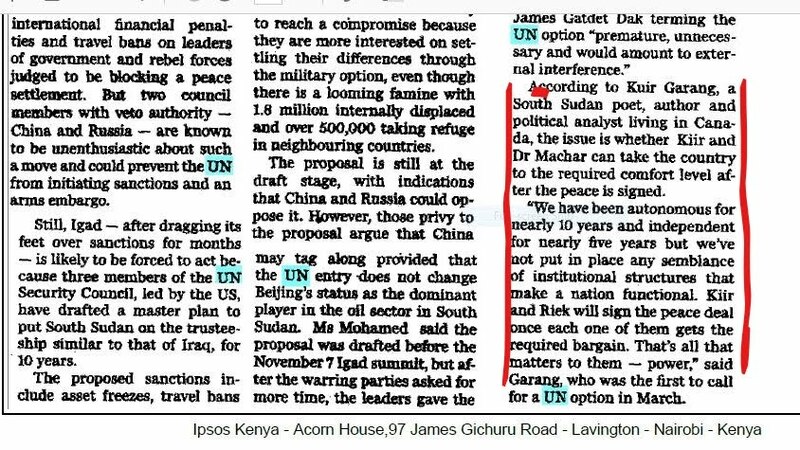 So, how do we rationalize tribalism in South Sudan? Leadership is central to the success of any organization. After a given idea is formed, a sound, moral and result-conscious leadership is necessary to ensure that the idea is followed from a mere concept to a useable sociopolitical material. And this development of such a concept requires what John Ryan calls the ‘Right Talent.” Without this Right Talent, a given idea either ends up failing or it ends up benefiting only a select few—a disastrous reality affecting Africa today. This is where tribalism affects the functionality of leadership. 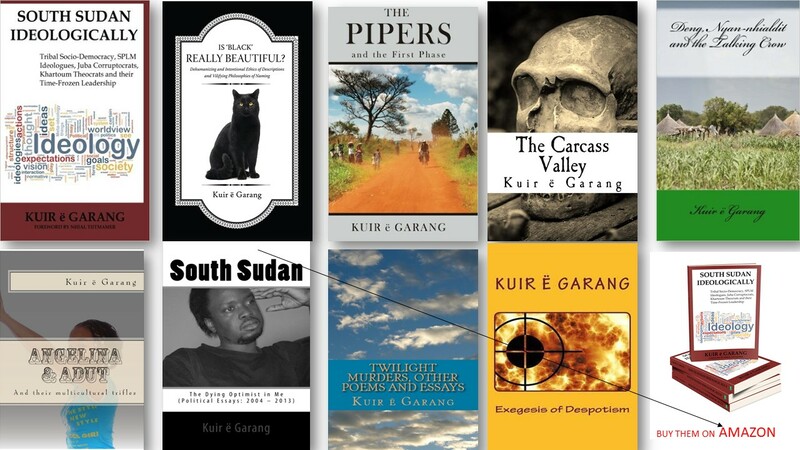 In many African countries, and more so, among South Sudanese, at home and abroad, tribe is one of the easiest “index of differentiation,” as Paul Gilroy would say, which we use to determine who to value and who to exclude; whose ideas we should respect and whose we should discard; whose moral wrongs we should condemn and whose moral wrongs we should excuse. The problem is always the other tribe, not us. There’s never a reflexive rationalization of inter-tribal relations where internal tribal wrongs and short-comings are corrected. We sleep on our wrongs in the name of tribal solidarity or tribal survival. This makes leaders associate with people from their own tribes either out of tribal allegiance or out of the fact that these are mostly the social groups with which they associate on regular basis. Given the segregative nature of tribalism, it becomes nearly impossible to know others intimately in order to value them for what they bring to society rather than valuing them because of their tribes. Undoubtedly, this leads to the employment of less qualified, single-tribal-cohorts in the name of tribal solidarity. "We sleep on our wrongs in the name of tribal solidarity or tribal survival." The employment of less qualified people, because they belong to one’s tribe, leads to the choking of institutions with undeserving employees thereby undercutting institutional functions and success. Necessary projects aren’t accomplished because employees are hired in blind faith to tribal solidarity—to earn a living. The meritocracy that is quintessential in institutional productiveness is treated as antithetical to tribal needs. Kill the institution, build the tribe and destroy the country. Accountability becomes impossible because tribal solidarity necessitates that tribal groups protect each other in a quid pro quo enterprise or in order not to reflect negatively on the tribe. Meritocracy becomes an inconvenience as tribal favoritism becomes the institutional culture. Any attempt by a few conscientious tribal members to suggest corrective remedies is treated as a betrayal of the tribe, an unbecoming behavior of lost souls. Neither tribe nor tribalism, in themselves, are the problem. This might seem strange to some of you, but it’s true. Indeed, a critical, honest analysis of tribalism and tribe shows us that they can be instrumentalized for the benefit of our societies. Tribes are our organizing reality and wishing them away is wishful thinking. However, we should devise a way in which we can use them to fashion our unity in diversity. Some tribes have good cultural practices that can act as unifying parameters. Some tribes have cultural practices that can be politically, socially and economically beneficial. We need to identify such practices and nationalize them. However, some tribes have cultural values and attitudes that are detrimental to our national well-being and togetherness. Tribal introspection and reflexive study of tribal customs and values can help tribes self-correct. This is difficult in South Sudan. Reflexivity as Hilary Lawson tells us in Reflexivity: A postmodern predicament, is “self-awareness” or “turning back on oneself.” Essentially, the importance of reflexivity is that it prevents one from assuming that there are social issues that should be understood “just as they are.” Social context and relevance should always be considered. 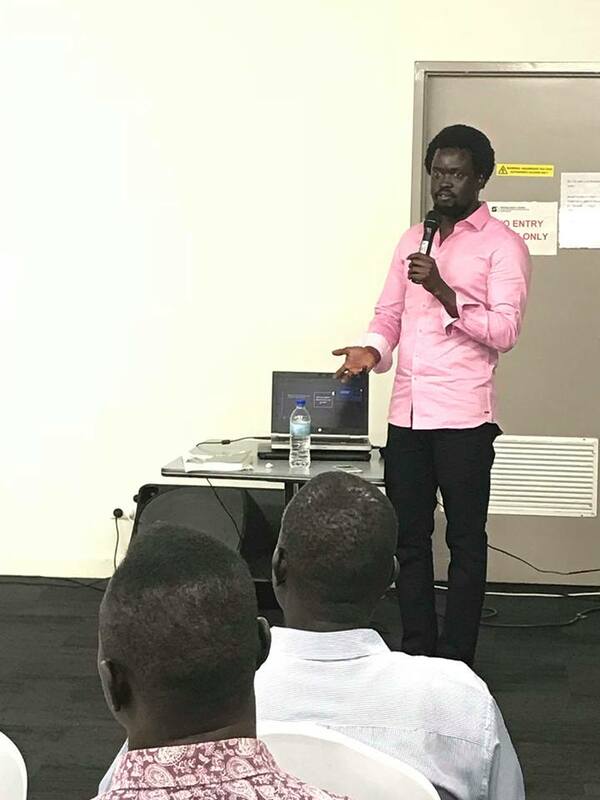 So for us to build a multi-tribal but united country, we need to start by cooperating across tribal lines abroad and at home, share important tribal customs and discard harmful ones, and form a South Sudanese Council of Elders that can help young people understand the truth about other tribes from tribal elders rather than the untrue assumptions that lead to division. 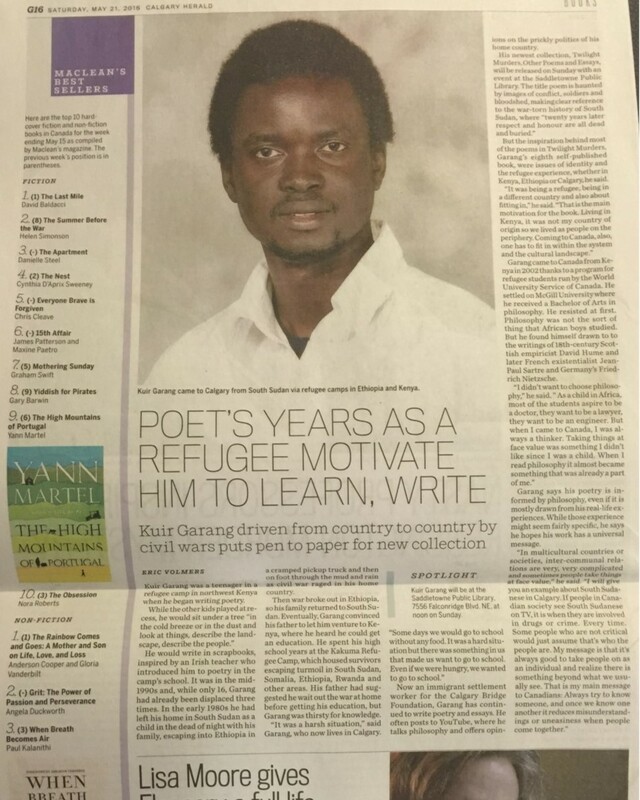 Kuir ë Garang is an author, a poet and of also the editor The Philosophical Refugee website.